One-page websites are all the rage at the moment. They are far from straightforward to build well however - especially when 'parallax' animation is combine with desktop and mobile optimised views. 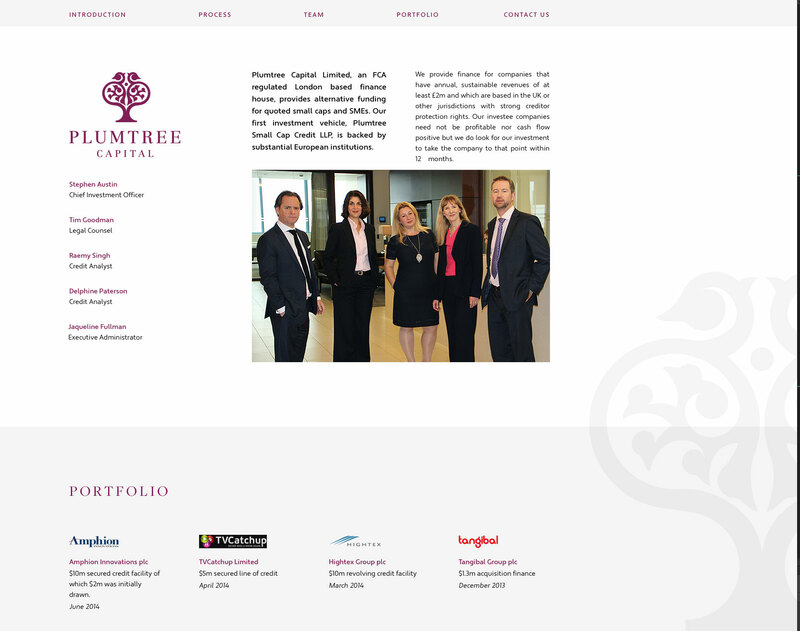 The brief for the Plumtree website was a long, simple-looking single page site with a type of animation called 'parallax'. As the page scrolls down, elements move or fade into position ready for reading. It is a on-trend way to create bigger impact.